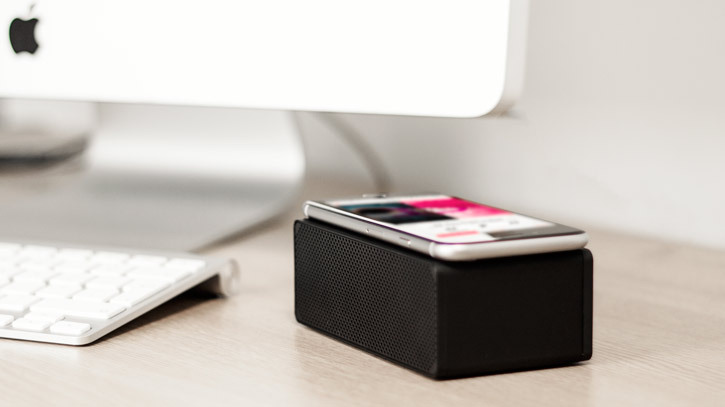 The Olixar Drop and Play Speaker allows you to play your music through these speakers wirelessly via your smartphone. 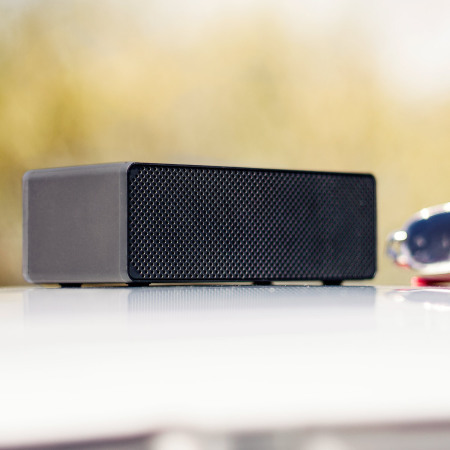 Simply place your device on top of the unit and the speakers pump out the tunes. 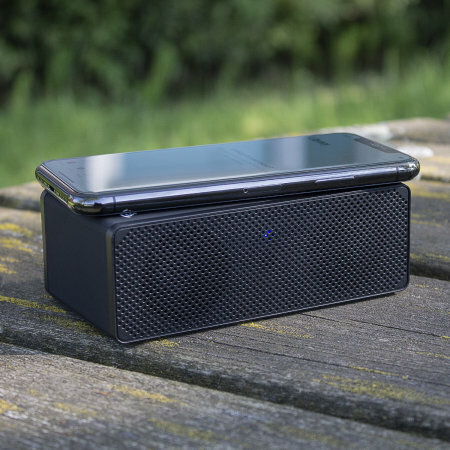 No wires, Bluetooth or Wi-Fi required! This is just so easy! it really is FANTASTIC. 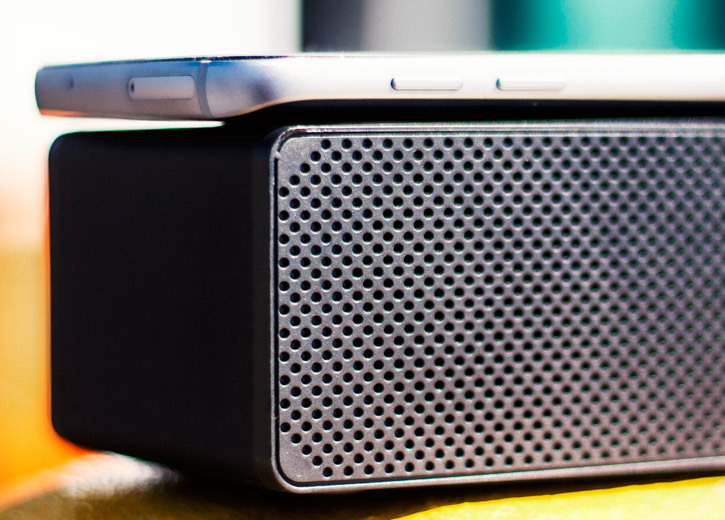 I usually carry my phone into the garden so no trouble that the phone has to sit on the speaker. Press the on/off at the back of the speaker, a blue light comes on, and its ready to go. 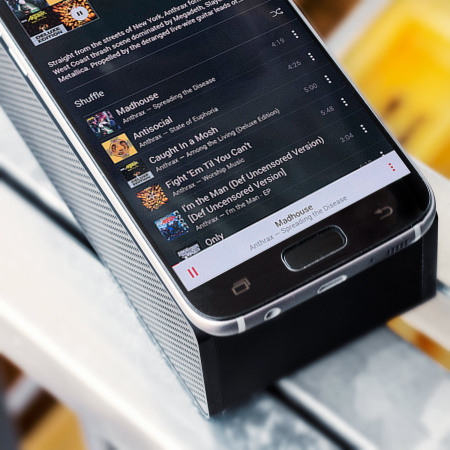 Control the sound with your phone, and basically it is as easy as that. I have quickly played my music at "full blast" but its too loud considering I have neighbours! I would say 'buy it' but there again I am biased! 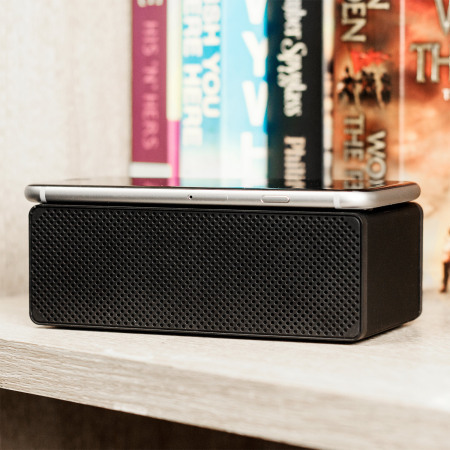 No need for Bluetooth, Wi-Fi and certainly no need for those messy wires... 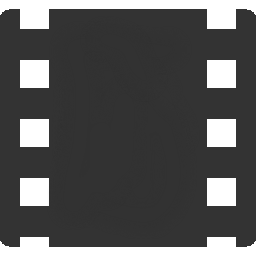 Instead use induction technology. 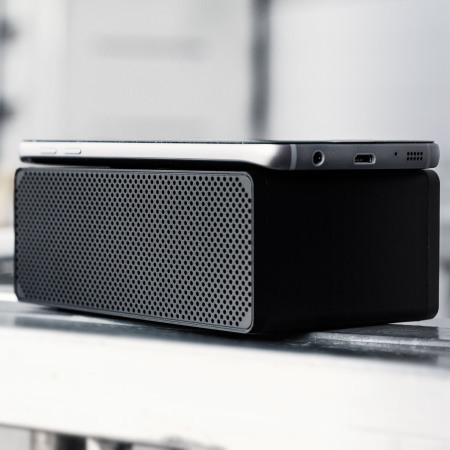 Simply place your device on top of the unit and listen in awe as the speakers pump out the tunes with greater volume and clarity. 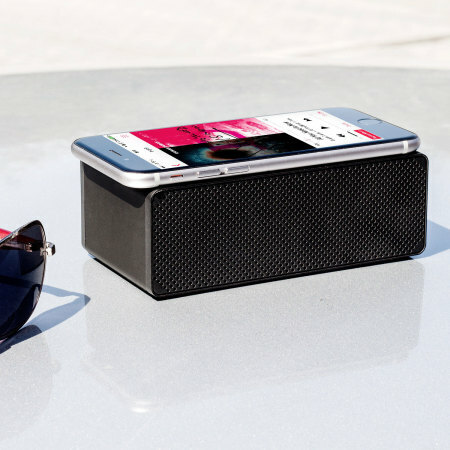 Simply play your music on your smartphone, place it onto the speaker and benefit from a fuller music experience. 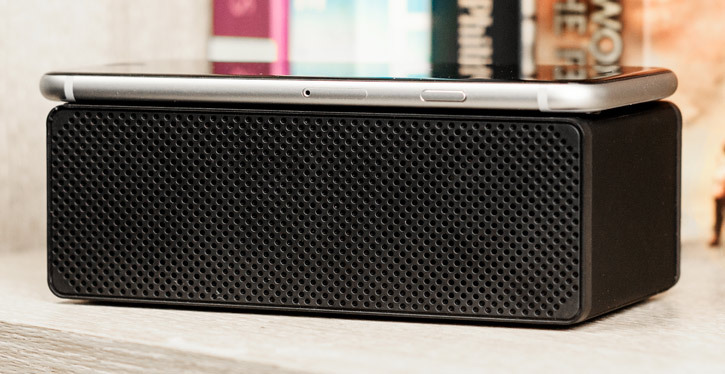 The Drop and Play speakers are able to do this via built-in induction technology. 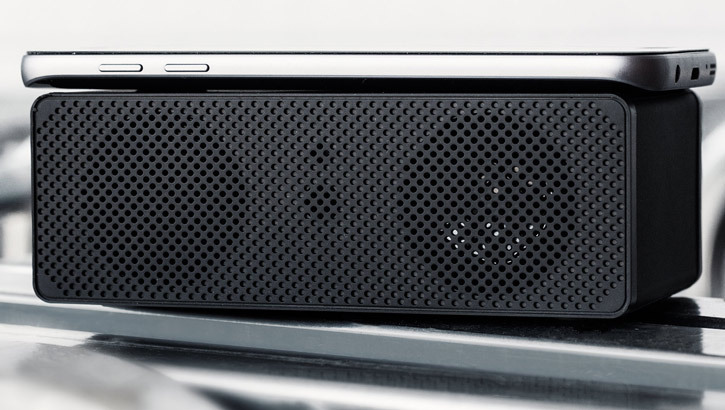 This lightweight speaker has been built with convenience in mind. 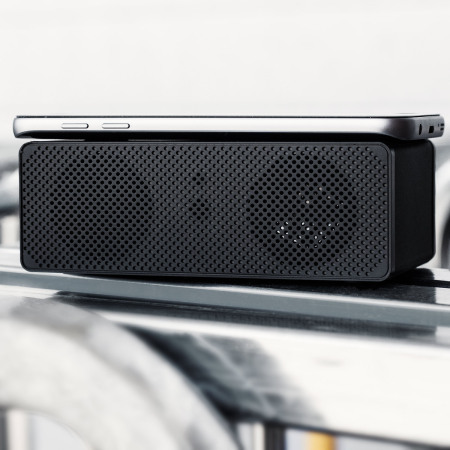 The lightweight and portable design is complemented by a slick black casing, that will not only help to protect your speaker, but looks great either at home or work. 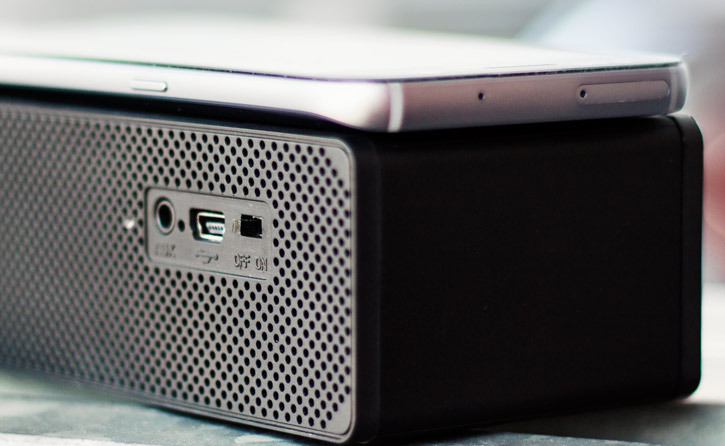 Just because it's portable, doesn't mean it lacks in power. 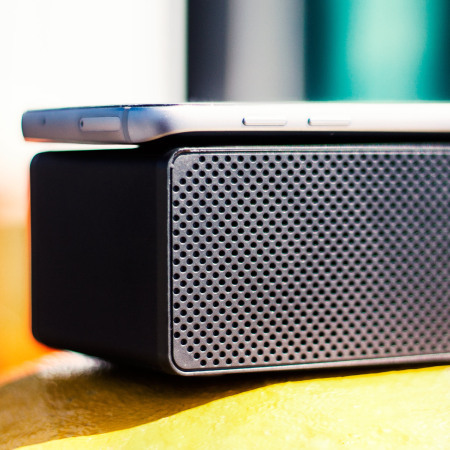 With dual speakers, the Olixar Drop and Play Wireless Speaker will handle all varieties of music whether enjoyed inside or relaxing outside. 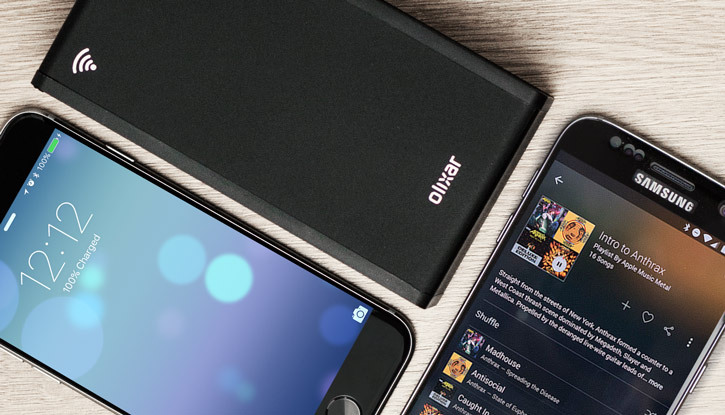 The Olixar Drop and Play Speaker has a built-in rechargeable battery, so you don't need to worry about buying new batteries. 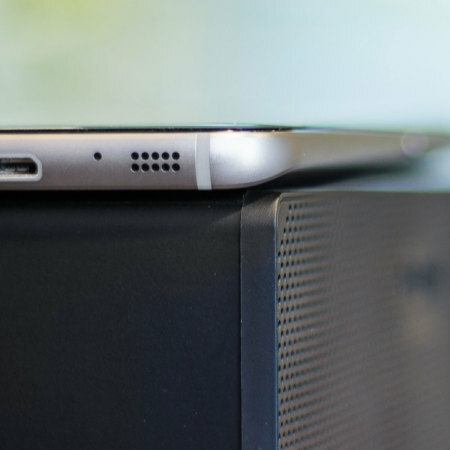 When it runs low, you can easily recharge it using the provided USB charging cable. 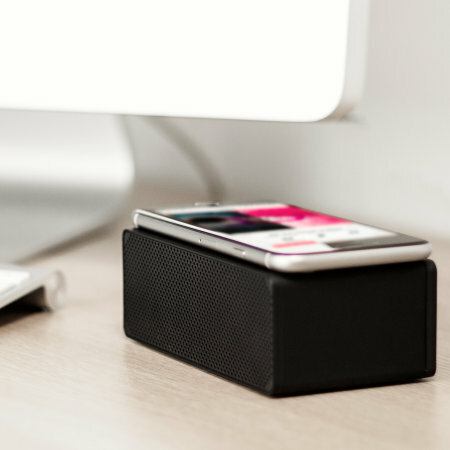 The Drop and Play Speaker also gives you the option of using the included 3.5mm AUX audio cable for complete compatibility. 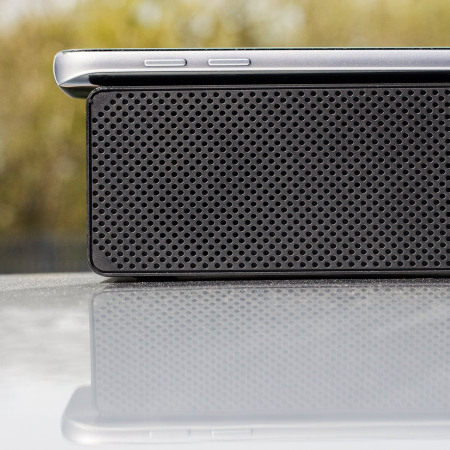 The Olixar Drop and Play Wireless Speaker is compatible with most smartphones including most iOS and Android devices. 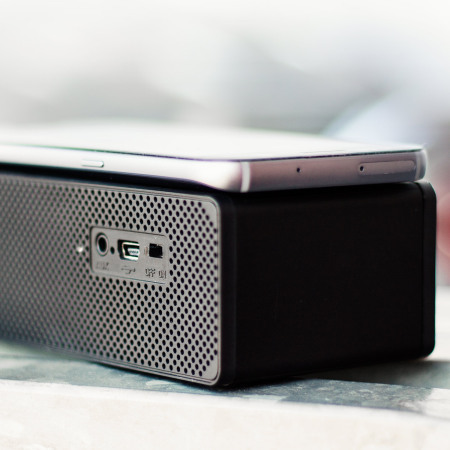 It will also work with many other devices that contain a built-in mobile speaker.